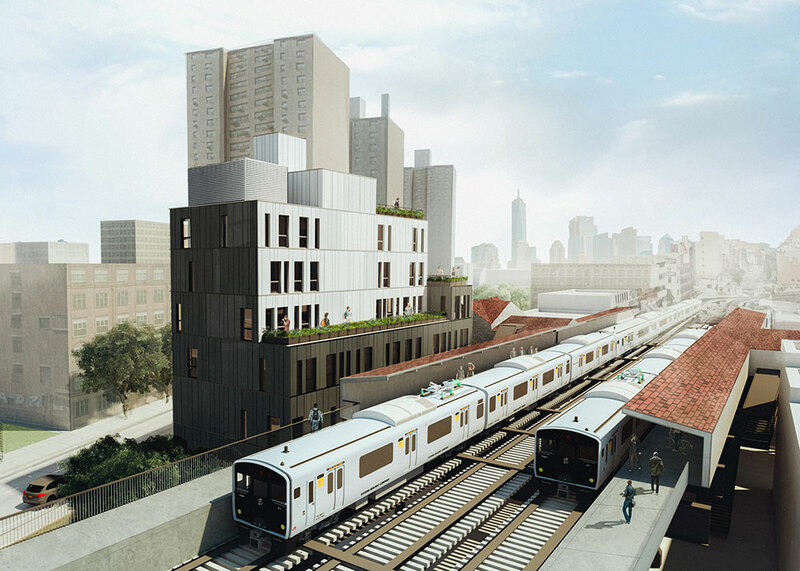 302 Broadway rises from a trapezoidal lot that is tightly bounded by the elevated J, M, Z train tracks, associated low-rise structures, and a neighboring greenspace. In response to these constraints, the building’s mass steps back to a large terrace area at the height of the train, with additional terrace setbacks on each side of the building. Within the structure, retail area is positioned at the ground level, with a community facility located on the second floor. An assortment of 24 rental apartments are positioned above for a total of 300,000 square feet. 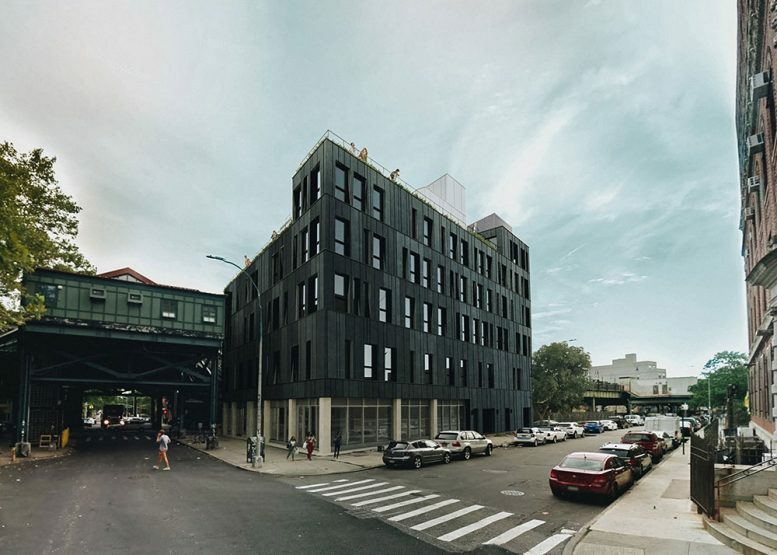 Building permits for the development were originally filed in 2017 by local developer Kazi Billah with architect David Turner on-board for design. 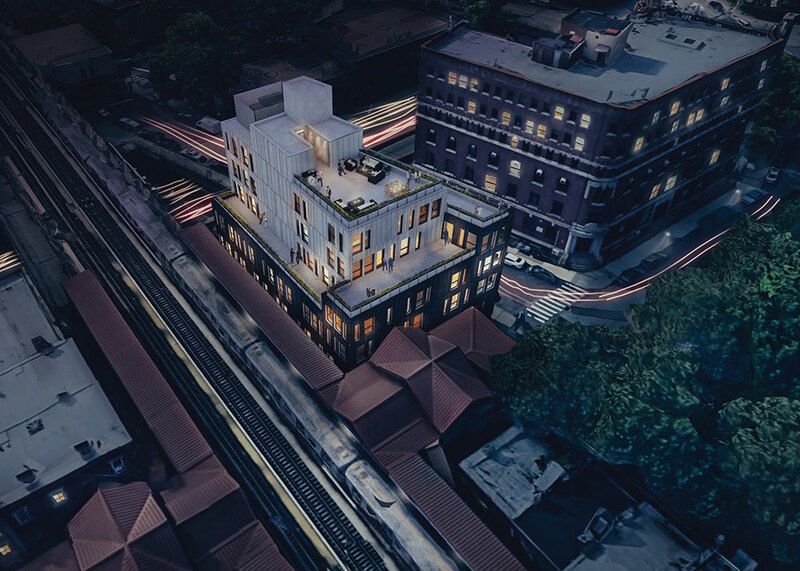 PAUL’s updated design now includes 6 additional apartments compared to previous massing. 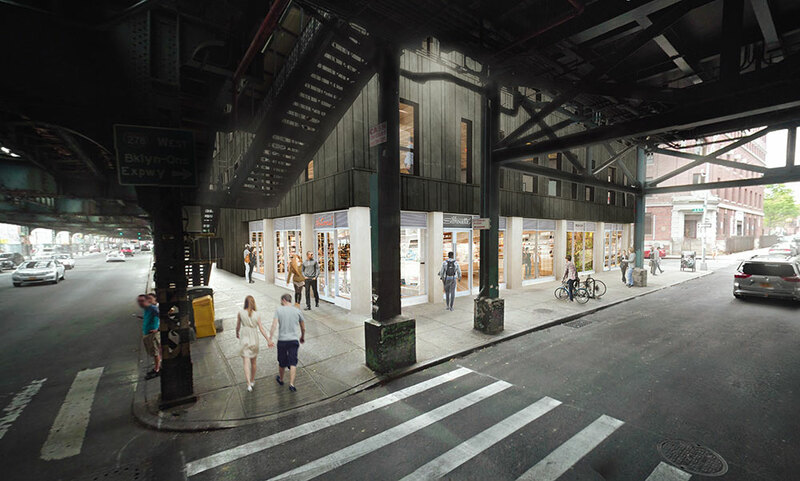 6 Comments on "PAUL Reveals Updated Renderings for 302 Broadway in Williamsburg, Brooklyn"
Definitely NOT 300,000 sf. 30,000 maybe. When it it planned to deliver? I love how that extraordinarily noisy steel-wheels-on-steel-rails elevated train has been magically upgraded to a rubber-tires-on-concrete-guideway, like those near-silent lines in the Montreal or Paris subways. Do developers ever feel the slightest bit guilt over their lies and distortions, or is anything permitted as long as it makes them money? And then we wonder why a certain real estate developer turned President constantly lies to the country. Isn’t it a copyright violation to take photos from google maps and google streetview, add your own renderings and publish them without credit?